Our brand new tour has certainly proved to be very popular and is one to tick off the list and sure to be a trip of a lifetime! Live the dream for a couple of weeks and discover the real highlights this vast and glorious country has to offer. From its bustling cities to its vast outback wilderness and underwater wonderland, Australia truly is astounding! A once in a lifetime tour! Find out more about why you should travel to Australia by reading our blog here! 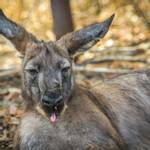 Day 1 – G’Day Mate and welcome to sunny Australia! Our first day we enjoy the highlights of Perth city, capital of Western Australia. The city is located where the Swan River meets the southwest coast and sandy beaches line the suburbs. 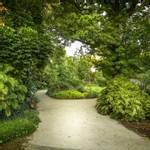 View Kings Park, one of the world’s biggest inner-city parks and its Botanic Garden with lovely views of the city. Overnight Perth. Full day at leisure to explore at your own pace or take in an optional tour. Overnight Perth. Explore the Swan Valley on a Wine Cruise with snacks, a wine-making tour, tasting of 6 wines, lunch and entertainment included. Take a cruise from Perth and explore this unique and historic port city. Enjoy a coffee on the famed cappuccino Strip, fish and chips at the Fishing Boat Harbour or try a boutique beer at one of the lively pubs (all at own expense). Complimentary local Australian wine tasting on return back to Perth. Upon arrival in Alice Springs, in the Northern Territory where cattle stations are larger than some countries, we take a tour including the Telegraph Station, Royal Flying Doctors, School of Air and Anzac Hill lookout for a panoramic view of the town centre. The Alice Springs Telegraph Station Historical Reserve marks the original site of the first European settlement in Alice Springs. It was established in 1871 to relay messages between Darwin and Adelaide and also linking with an underwater cable network to London. The Royal Flying Doctor Service Museum will satisfy the most curious of mind. Discover what it's like to be inside one of the aircraft and look inside a replica fuselage of a Pilatus PC12. The School of the Air provides an educational service for children living in remote parts of Central Australia, with a broadcasting area covering 1.3 million square kilometres. Overnight Alice Springs. Day at leisure to explore on your own. Framed by the MacDonnell Ranges and an intense desert landscape, the township of Alice Springs is Australia’s most famous outback town. Afghan cameleers, flying doctors, outback explorers, a rich cast of characters and the towns’ isolation has lead to the creation of an unrivalled community identity and a wealth of interesting events and sights. Alive with culture and Aboriginal art, the pedestrian-only Todd Mall gives a sneak peek into the traditions and stories of the Arrernte people with water colours of desert landscapes and dot paintings of the seasons. 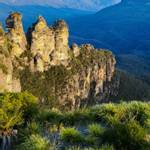 Optional tours are available including a Bush BBQ and the McDonnell Ranges. Overnight Alice Springs. A truly unique and authentic experience not to be missed. 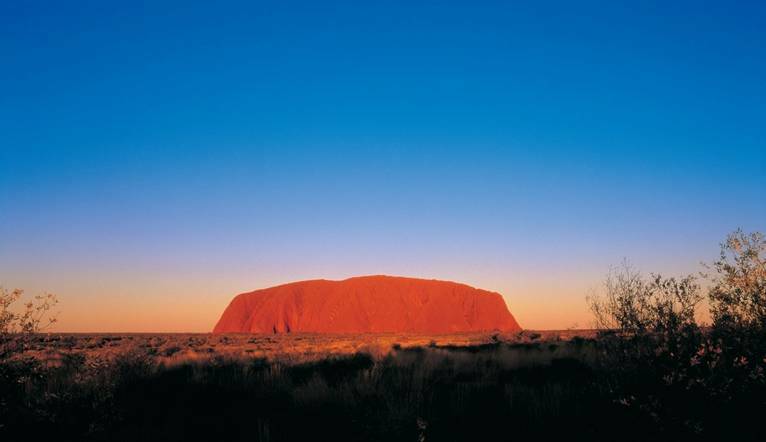 Become immersed in the spirit and grandeur that is the Australian Outback. From the moment you step off the coach you’ll be captivated by the setting sun exploding in a ray of colour adrift the great expanse of the Northern Territory sky. The East and West MacDonnell Ranges stretch out for hundreds of kilometres on either side of Alice Springs. 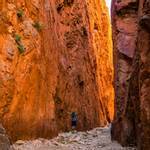 According to the traditional owners, the Arrernte people, the Ranges were formed during the Dreamtime by giant caterpillars. The area surrounding the Ranges is rich in Aboriginal history and rock art and gives a fascinating insight into the ancient culture. The MacDonnell Ranges provide an array of day activities for tourists to Alice Springs, from bush walking and hiking, to relaxing by the impressive water holes and gorges. This morning we head to mysterious Uluru. Stopping at Mount Connor for photos en-route, upon arrival this afternoon we take a tour of the Kata Tjuta Olgas, a must-see group of large-domed rock formations found 460km south west of Alice Springs. We take a walk in Walpa Gorge for photos. This evening we can enjoy a fabulous Sounds of Silence BBQ dinner. Sounds of Silence experience, which this year celebrates its 25th anniversary, begins with canapes and chilled sparkling wine served on a viewing platform overlooking the Uluru-Kata Tjuta National Park. As the sun sets and darkness falls, listen to the sound of a didgeridoo and join your table of fellow travellers for an unforgettable dining experience. Enjoy quality selection of Australian wine and beer while first course is served. As the night sky twinkles to life, help yourself to a bush tucker inspired buffet that incorporates native bush ingredients. Settle back and listen to our resident star talker decode the southern night sky. Locate the Southern Cross, the signs of the zodiac, the Milky Way, as well as planets and galaxies that are visible due to the exceptional clarity of the atmosphere. Overnight Ayers Rock. Day 7 - Ayers Rock to Cairns. 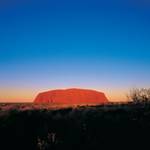 Early this morning we head out to stunning Ayers Rock for a sunrise viewing. This World Heritage-listed and one of Australia’s most iconic symbols, is right in the heart of Uluru-Kata Tjuta National Park. Uluru is a place that speaks of timeless folklore, rich indigenous culture and great spirituality. Traditional custodians of Uluru, the Anangu, believe this landscape was created by their ancestors at the beginning of time, and have been protecting these sacred lands ever since. After breakfast back at the hotel, we then head out on the Mutitjuli Waterhole and Mala Walk and visit to the Cultural Centre. 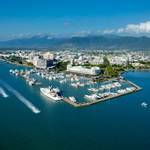 We take an internal flight bound for Cairns, gateway to the Great Barrier Reef. Overnight Cairns. 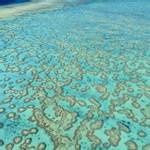 Day 8 – The Great Barrier Reef. Escape into a world of surprises to experience the breathtaking beauty of the Outer Great Barrier Reef. From the comfort of the stable reef activity platform, this is the perfect base for swimmers and non-swimmers to explore. Snorkel in the crystal clear water. Teaming with brightly coloured fish, visit the underwater observatory, cruise in a semi-submersible, or just relax on the sundeck with a delicious buffet lunch. Inclusions: Morning & afternoon teas, 3 hours at Outer Barrier Reef platform, snorkeling equipment, use of lycra suit, hot & cold buffet lunch, eco reef talk, semi-submersible coral viewing, underwater observatory and Environmental Management Charge. Overnight Cairns. The city is fringed by palm trees and set against a backdrop of mountains and rainforest. 2 full days to relax and explore the city at our own pace or we can visit Kuranda or visit the Cape Tribulation region on optional tours. Overnight Cairns. Embark on a fascinating journey of discovery over and deep into the world’s oldest continually surviving tropical rainforest. The iconic Skyrail experience is a must do Cairns attraction that provides a truly unique perspective of Australia’s World Heritage listed tropical rainforest - immersing you in the sights, sounds, and tranquility of one of the most botanically fascinating areas on earth. Explore this fascinating village and The Heritage Markets are full of colourful and interesting arts and crafts. The Cape Tribulation region in Northern Queensland is known for its picturesque scenery and year-round good weather. Situated just north of Cairns, Cape Tribulation offers a welcome escape from the hustle and bustle of city life. Whether you just want to lounge on the beach or would prefer an exciting adventure in the Daintree National Park. Enjoy a fascinating hour cruising Daintree River Cruise through this wildlife environment, which is home to birds, tree snakes, unique plants and the estuarine crocodile – a great photo opportunity. Morning tea & Lunch included. 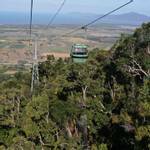 Day 11 – Cairns to Sydney. Today we take our internal flight to Sydney, one of the most iconic cities in the world. 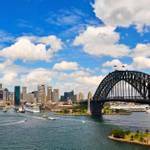 Blessed with a temperate climate, Sydney is Australia’s favourite city with the world’s most beautiful harbour. The harbour provides a playground for jet boating, sailing, swimming, harbour scenic flights, dining, fishing and climbing the Harbour Bridge. Overnight Sydney. Today we take a tour through the historic Rocks area and see views of the Opera House, Hyde Park, St Marys Cathedral, Parliament House and the Art Gallery. Stop at the world-famous Bondi Beach and enjoy the spectacular scenery. Upon our return, we travel through Paddington and the exclusive Eastern suburbs. Overnight Sydney. Sydney’s shopping is second to none with its endless selection of boutiques, markets and malls. Unique Australian speciality shops reside at The Rocks and Darling Harbour’s Harbourside Shopping Centre and a visit to the Queen Victoria Building in the city center is a must. Overnight Sydney. A Sydney Harbour sightseeing cruise is the perfect way to see the best of what this wonderful Harbour city has to offer. Feast your eyes on the splendid sights of Sydney Harbour as you cruise past the major harbour attractions. Sightseeing cruises operate in the main Harbour and you will be able to see all the major attractions around the harbour including the Sydney Harbour Bridge, Sydney Opera House, Luna Park, Fort Denison and the million-dollar homes that line the harbour foreshore. Inclusions: 3.5 hours of unforgettable experiences, a complimentary Climber Cap and group photograph and commemorative Climber certificate. Includes entry to Featherdale Wildlife, Unlimited use of Scenic World Railway, Skyway and Cableway at Scenic World Blue Mountains. Take in spectacular views of the Jamison Valley across to the Three Sisters, explore the beautiful town of Leura and stop at Featherdale Wildlife Park where you can handfeed kangaroos, wallabies and emus and encounter friendly koalas. Glide between cliff tops and gaze at the rainforest canopy through the glass floor of the Scenic Skyway! Discover panoramic views of the World Heritage-listed Blue Mountains from the Scenic Cableway and discover the thrill of a 52 degree incline (128% incline) riding the steepest passenger railway in the world, the Scenic Railway. Day 15 – Sydney to Melbourne. On to the final part of our journey as we fly to Melbourne. 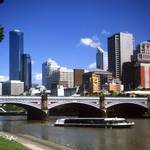 Melbourne is the coastal capital of the southeastern Australian state of Victoria. At the city's centre is the modern Federation Square development, with plazas, bars, and restaurants by the Yarra River. Overnight Melbourne. On our guided tour we can experience the beautiful sights of Melbourne. Hear about it's wonderful history, famous buildings, sensational shopping, great sporting venues and universities. 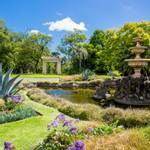 We stop and explore the Fitzroy Gardens, the Royal Botanic Gardens and the Shrine of Remembrance. From here we travel over the Westgate Bridge, drive along the Melbourne Cricket Ground, St Paul's Cathedral, the Arts Centre, and Port Phillip Bay. Overnight Melbourne. Final day at leisure to relax or take one of the optional tours below before our final farewell dinner in a famous fleet of historical trams that have become The Colonial Tramcar Restaurant. These glossy, burgundy restaurants on wheels are the first travelling Tramcar Restaurants in the world and ensure a delightful, innovative approach to dining. Since their inception in 1983, the restaurants have become a star attraction and a tourism symbol for Melbourne. Overnight Melbourne. Enjoy incredible views and natural wonders. The Great Ocean Road stretches for 243 kilometres along the stunning south-eastern coast between Torquay and Warrnambool. An Australian National Heritage listed road, it was built by returned soldiers between 1919 and 1932. The road winds through gorgeous terrain along the coast and leads you to many significant landmarks and natural wonders. Afternoon travel to the Penguin Parade and enjoy panoramic views of the French Island before witnessing the amazing nightly ritual of penguins marching up the sand to their nests. Step back in time, explore the heritage and tranquil scenery of Churchill Island and at Koala Conservation Centre Explore the treetop boardwalks to see koalas in their natural habitat. The Penguins Plus viewing platform offers unprecedented, up-close viewing of the little penguins as they waddle along the most popular pathway at the Penguin Parade. Note: No outdoor photography and filming at the Penguin Parade is allowed – even without a flash. Photographing Little Penguins disturbs and frightens them. Day 18 – Melbourne to London. Final morning at leisure before saying farewell to Melbourne and heading to the airport and our flight home. Day 19 – Arrive London. Outer Barrier Reef Cruise with morning & afternoon tea, snorkelling equipment, use of lycra suit, coral viewing semi-submersible, underwater observatory. The transfer time from Perth Airport to the hotel is approximately 20 minutes depending on traffic. We suggest a group collection at the beginning of your holiday to cover drivers, guides, porters and hotel staff (including restaurant, kitchen and reception staff) of approximately £100 (or the equivalent amount in local currency). Your Tour Leader will collect this on your behalf and distribute it accordingly, thus relieving you of the burden of who, when and how much to tip. The tipping of bar staff and housekeeping will be left to your individual discretion (a small amount left in your room on departure should cover this and would be much appreciated). As is customary, ‘the hat’ will be passed around for the driver and guide on all optional excursions. For any meals that are not included in your itinerary, or taxi fares, your Tour Leader can advise of an appropriate add on. Our tours are planned to be as fully inclusive as possible. However, from time-to-time your Solos Tour Leader or Local Guide may suggest optional tours/sightseeing in addition to the standard sightseeing planned for that city. Such options are at an additional cost (payable in local currency). Costs detailed below are approximate and final details will be depend on numbers and be given at your Information Meeting. If you do not wish to take part in any optional extras, you will have the option of enjoying some free time at leisure or to return to the hotel. Inclusions: Morning tea, coffee and muffin, Captain’s commentary, Swan Valley ‘Wines of the Month’, tasting on board with cheese and biscuits, ‘Behind the Scenes’ Sandalford Estate wine making tour, Taste six premium wines at Sandalford Estate , Two course lunch at Sandalford Estate (choice of three mains), Afternoon tea and dessert buffet on return cruise, Complimentary wines on board the return cruise, Full bar facilities on board, Live entertainment from the crew. 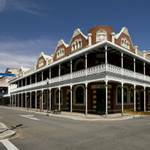 This extended return Fremantle Cruise allows you the opportunity to break your journey in Fremantle and “explore” this unique and historic port city. Join either the 9.45am or 11.30am departures from Perth and disembark at Fremantle’s B shed jetty, just a few minutes’ walk from the city centre. Enjoy a coffee on the famed cappuccino Strip, fish and chips at the Fishing Boat Harbour or try a boutique beer at one of the lively pubs (all at own expense). Return on the 3.45pm Fremantle departure back to Perth complete with complimentary local Australian wine tasting. Includes: Transport to & from venue, All beverages (bottled red & white wine, beer & soft drink), 2 course bush BBQ dinner meal, Local Cattlemans Talk, Bush, Balladeer, Local Astronomer. Embark on a fascinating journey of discovery over and deep into the world’s oldest continually surviving tropical rainforest. The iconic Skyrail experience is a must do Cairns attraction that provides a truly unique perspective of Australia’s World Heritage listed tropical rainforest - immersing you in the sights, sounds, and tranquility of one of the most botanically fascinating areas on earth. The uniqueness of the Skyrail experience is epitomised by the purpose built gondolas that offer a sustainable birds-eye view of North Queensland’s living natural wonder whose prehistoric ancestry is some 60 million years older than the Amazon. Upon arrival in Kuranda, it’s time to explore this fascinating village. The Heritage Markets operate 7 days a week and are full of colourful and interesting arts and crafts. Free time in Kuranda: approx. 3hrs to enjoy lunch and sights (own expense). Kuranda Scenic Rail journey winds through hand-hewn tunnels, across bridges and around curves, all the time appreciating what an amazing engineering feat it is. The Cape Tribulation region in Northern Queensland is known for its picturesque scenery and year-round good weather. Because of this, it is a haven for travellers from around the world. Situated just north of Cairns, Cape Tribulation offers a welcome escape from the hustle and bustle of city life. Whether you just want to lounge on the beach or would prefer an exciting adventure in the Daintree National Park.Enjoy a fascinating hour cruising Daintree River Cruise through this wildlife environment, which is home to birds, tree snakes, unique plants and the estuarine crocodile – a great photo opportunity. Morning tea & Lunch included. 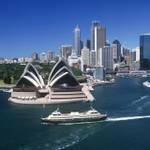 Inclusions: 1 hour Sydney Harbour sightseeing cruise, Informative GPS commentary, Coffee & Tea, 1 Softdrink per person. A Sydney Harbour sightseeing cruise is the perfect way to see the best of what this wonderful Harbour city has to offer. Feast your eyes on the splendid sights of Sydney Harbour as you cruise past the major harbour attractions. ll our sightseeing cruises operate in the main Harbour and you will be able to see all the major attractions around the harbour including the Sydney Harbour Bridge, Sydney Opera House, Luna Park, Fort Denison and the million-dollar homes that line the harbour foreshore. You must have an alcohol-blood reading below 0.05 to climb. Everyone is breathalysed by our staff and anyone over this limit cannot continue. • You must be 8 years old and 1.2 metres in height, or greater. • For safety reasons, you can’t carry anything with you on the Bridge. Secure lockers are provided for you to keep your things in, including phones, cameras and GoPros. Climb Leaders will capture photos of you during your Climb. The following health considerations may impact your ability to climb safely: • if you’re under 24 weeks pregnant, you can climb with a Certificate of Fitness signed by your GP. If you are more than 24 weeks pregnant, you cannot climb. • heart conditions • respiratory conditions • current or recent physical injuries • limited limb function, limb loss or limb difference • surgery, from which you are still recovering. Includes: Entry to Featherdale Wildlife, Unlimited use of Scenic World Railway, Skyway and Cableway at Scenic World Blue Mountains. Visit The Three Sisters, the quaint town of Leura, stop at Featherdale Wildlife Park where you’ll be able to hand-feed kangaroos, wallabies and emus and enjoy a face-to-face encounter with one of the friendly koalas. Includes: 3 Park PLUS - Penguin Plus / Koala's / Churchill Island Access to Penguin Plus viewing area, Koalas Conservation Centre, Churchill Island Heritage farm. Afternoon travel to the Penguin Parade and enjoy panoramic views of the French Island before witnessing the amazing nightly ritual of penguins marching up the sand to their nests. 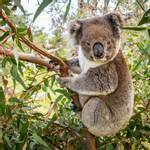 Step back in time, explore the heritage and tranquil scenery of Churchill Island and at Koala Conservation Centre. At the visitors’ facility there is a range of information available on Phillip Island, its history, wildlife, and of course, the Penguin Parade. The Penguins Plus viewing platform offers unprecedented, up-close viewing of the little penguins as they waddle along the most popular pathway at the Penguin Parade. Note: No outdoor photography and filming at the Penguin Parade is allowed – even without a flash. Photographing Little Penguins disturbs and frightens them.